Merrimack, N.H. – March 19, 2013 – Saint-Gobain Performance Plastics, a global leading manufacturer of protective “hazmat” products and other high performance protective equipment, today announced strategic initiatives, aimed at driving continued global growth in 2013 for the ONESuit® portfolio of high performance protective products. Highlights include the addition of design engineering expertise to the ONESuit® team to develop innovative protective materials and chemical protective solutions. Saint-Gobain increased its offerings across several regions, worldwide. Based at the Merrimack site in USA, Saint-Gobain Performance Plastics added Jenna Reynolds, Design Engineer, to the ONESuit® team. With her extensive design and engineering experience, Reynolds will lead the ongoing R&D efforts to develop the next generation of protective materials and chemical protective solutions. The Engineering & Development team is currently working on innovative material configurations for next generation products that will bring performance and comfort to the next level.. In Europe, Saint-Gobain Performance Plastics announced their distributor agreement with Heinrich Vorndamme oHG, a major European supplier of protective textiles for protection against chemicals, heat and fire. This strategic agreement allows Heinrich Vorndamme oHG to market and distribute ONESuit® Pro to their customers across various markets, including fire rescue, chemical production, mining, emergency response, civil protection and shipping. In addition Saint-Gobain Performance Plastics’ ONEGlove® Hazmat protective glove was certified to EN standards for use with chemical protective ensembles (CBRN) suits for providing high-level chemical and biological protection. 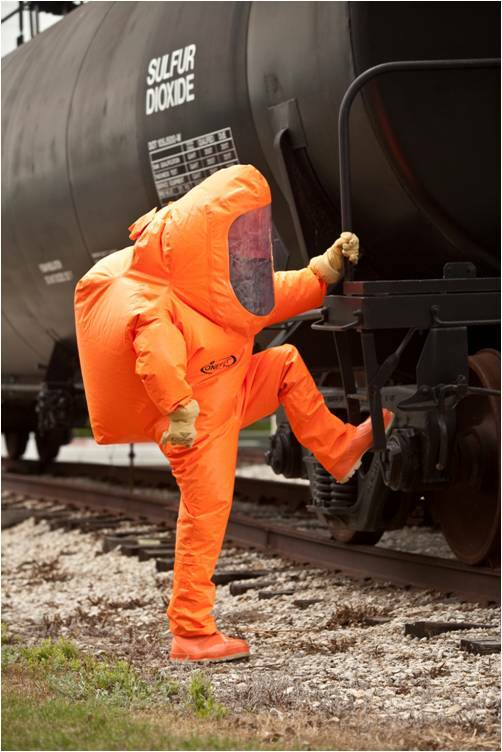 Under the certification standard EN 374, the ONEGlove® Hazmat is now approved for use with all EN 943 certified suits and will also carry the CE mark. 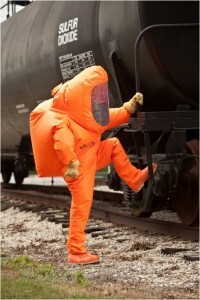 Across the Middle East and Asia, Turkey’s search and rescue services, the Disaster and Emergency Management Presidency (AFAD), purchased ONESuit® Pro, increasing their ability to safely and effectively deal with chemical and biological hazards. Driven by recent events in Syria, the purchase was also part of a larger effort on the part of the Turkish government to make improvements to the country’s infrastructure to deal with CBRN incidents.